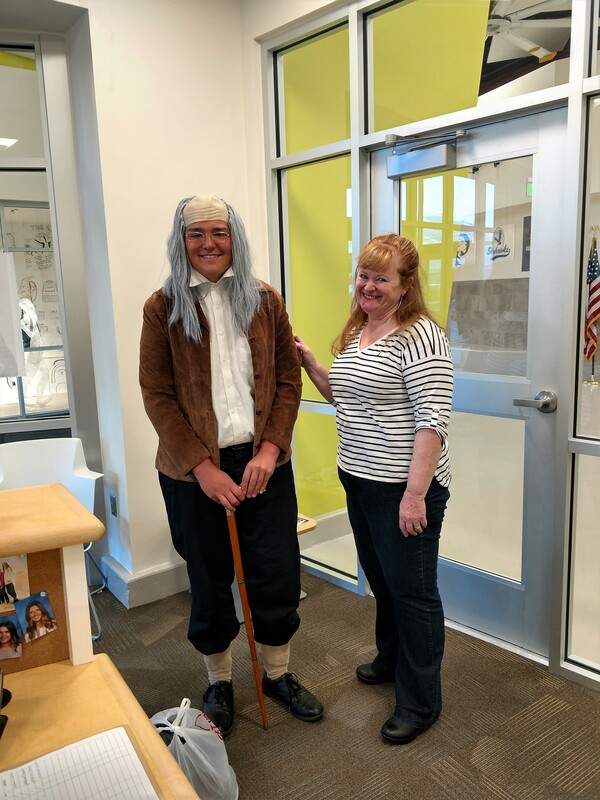 Recently the History classes here at the ALC had some people from history visit. These visitors gave stories and details of their lives. Some were quite elaborately dressed for their time period. They also had a week of storytelling where different groups told their version of history with whatever props they had on hand. It was fun to see the creativeness the students used in recreating History.